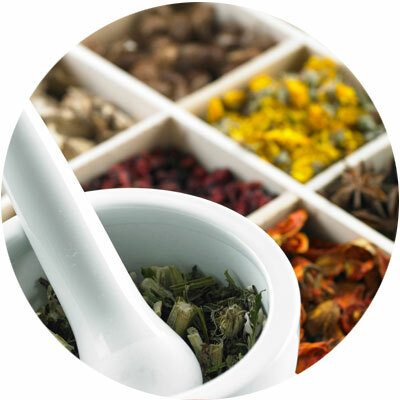 Herbal formulas are made from the leaves, flowers, stems, berries and roots of plants. Materia Medica textbooks provide extensive information about herbal medicinal substances. These books detail the properties, active ingredients, actions, indications and contraindications of herbs. Pharmacological and clinical research has validated the “scientific effectiveness” of these substances. Systemic herbology and selected nutritional supplements provide the building blocks for the body’s vital structures, the cells. Consult with a board certified herbalist or other doctorate-level health practitioner for herbal prescriptions. Self-prescribing is not recommended. Traditional Chinese Herbal Formulas are utilized in conjunction with acupuncture treatment to enhance different bodily systems. Under direct supervision of a specially trained practitioner, herbal formulas are safe and effective. Concerns regarding reactions to prescribed medication a person may be taking should be discussed with your licensed herbalist.